Nagoya Railroad Co, Ltd. (a.k.a. Meitetsu) class 800 electric streetcar. This streetcar class is of the low floor type where the step height is only 38 cm to make the ride easier for passengers with disabilities. 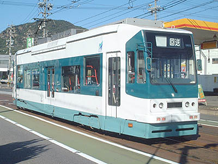 As this streetcar class is used also on the Kakamigahara line, it can run on 1500 V DC and not only on 600 V as most streetcars. 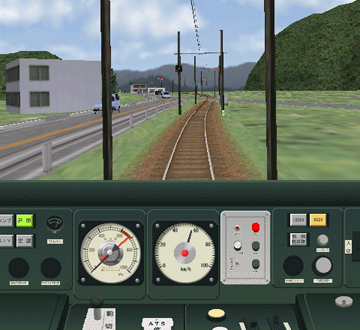 Realistic driver's stand with speedometer, manometer (pressure gauge) and pilot lamp. The creator's web site is gone from the Internet.